The final decision as to the appropriateness of twelve-year secondary education in Belarus will be taken by the end of May this year. For this, Alexander Lukashenko gave an instruction to appoint an interagency commission with Anatoly Rubinov, First Deputy Head of the Presidential Administration, as its head. The commission is tasked to study all pros and cons of the twelve-year system of secondary education. The final decision will be formalised by the respective enforceable enactment of the Head of State. The task to this effect was set by President Alexander Lukashenko on 17 April at the meeting focused on the subject of the appropriateness of twelve-year secondary education in Belarus. Attending the meeting, due to the urgency of its topic, were not only members of the Ministry of Education, but also teachers, academics, some parents, chiefs of national and local government bodies. The meeting lasted twice the time that had been initially planned for it. Twelve-year secondary education is one of the most acute issues relating to development of the education system. 10 years ago Belarus started transition to the twelve-year secondary education system. However, it wasn’t until now that Belarusian school approached an entirely new form of education – specialised education for senior students in the 11th and 12th education year. As yet, Belarus has not embarked on this new path, said the President. “ Therefore it is today that we have approached the last moment when we still can consider and take an objective view of the consequences of the innovations; it’s not too late for us to change our decision if we have good enough reasons for it,” the President said. The participants of the meeting expressed their points in favour and against switching to the twelve-year secondary education system. Those in favour of the transition said specialised education would help step up the level and quality of education, improve students’ awareness of the social agenda of the country and empower them for conscious professional self-determination. The supporters of this system made their point by bringing positive examples of applying specialised education in some Belarusian schools and secondary education institutions with in-depth education in a number of subjects. In addition, they say, twelve-year education is applied in 169 countries (80 per cent), including in some CIS member states (Kazakhstan, Moldova, Ukraine, Uzbekistan). In 46 countries , students have thirteen - year secondary education programmes. Schools should rule out the “donations” of the students’ parents, President of Belarus Alexander Lukashenko stated at a government session held on April 17 to discuss the viability of 12-year-long secondary school education, BelTA learnt from the presidential press service. “People start doubting whether the Belarusian education free or requires payment?” the Head of State noted. According to him, parents’ money can be used for purposes related to the education and development of their children. These are excursions, cinema, theatre, cultural events and not an attempt to solve financial problems of the educational establishment. The president underlined that schools need to establish a five-day working week with five or six lessons every day and to expand a network of out-of-class activities. The Republic of Belarus represented by the High-Tech Park and South African company Lyons Financial Solutions Holdings (PTY) Ltd have signed an investment agreement for building a real estate area in the HTP, head of the HTP administration Valery Tsepkalo told media on April 18. He said, the company is the strategic investor for designing and building the High-Tech Park. It will finance designing, prospecting and engineering works the construction of HTP facilities involves. The project is expected to require around $3 million at the initial stage this year. Valery Tsepkalo reminded, in December 2007 a contest was held to choose the strategic investor and the South African company, which specialises in real estate, won the contest. The investor is not a resident of the Park yet, specified the official. Apart from manufacturing and residential areas the Park should have all the necessary infrastructure in order to be fully operational. The HTP should have premium business centres for customers, first of all, foreign ones, as well as shopping facilities, hotels, sports facilities and other facilities. This is why the HTP administration had initiated the contest to choose the investor. Another important thing that was discussed with the investor is the rapid output growth of the HTP products and services. At present the HTP is developing ten times faster than the national economy as a whole. Actually there are two factors that impede the development — lack of personnel and office areas in Minsk. Valery Tsepkalo said, if the HTP employed 10% of working Belarusians, the positive surplus would be about $1.3 billion. At present 4.5 thousand people work in the HTP. This is why without waiting for the strategic investor to show up, the HTP signed eight agreements with resident companies and they started financing design and exploration work. The process began in December 2007. At present the HTP is not slowed down by the lack of finance, as it has accumulated $120 million, which is enough to build half of the facilities and all the facilities with the arrival of the foreign investor. The HTP development is hindered by design progress. Main efforts will be channelled to this area now, said the official. With the HTP construction underway, the first building will be commissioned in November 2008. It will house the HTP administration, resident companies, a centre for training and retraining specialists, business incubators. The design of the manufacturing and residential areas will be ready in summer and the construction will begin this year. All major aspects of the area development have been agreed. Valery Tsepkalo also underscored, all funding issues had been virtually resolved. It is impossible to finance more than Belarusian design institutes and contractor organizations can do. In 2008 $40 million will be channelled into building HTP facilities (taking into account investments in the building under construction) out of money allocated by resident companies, noted the official. Valery Tsepkalo also said, in Q1 2008 the HTP output and export amounted to 210% as against the corresponding period of last year. In his words, the growth rate will continue. The introduction of a moratorium on capital punishment may be considered in Belarus, Chairman of the House of Representatives of the National Assembly of Belarus Vadim Popov told a press conference on April 17. He said, it seems it is time to consider the possibility, but the nation’s response is important. Capital punishment cannot be vetoed right away as 86% of the nation is against the abolishment of capital punishment. Conditions for making the decision should mature, said Vadim Popov. He added, there are crimes that “blow up” people. According to the source, if Belarus went ahead to meet demands of the Council of Europe and banned capital punishment while the majority of the nation is against the move, it would violate democratic principles of the state. Belarus and PACE show a potential for closer cooperation, Vadim Popov, the Chairman of the House of Representatives of the National Assembly, told a press conference in Minsk on April 17. “PACE leadership understands that Belarus, being a European country, has a right to participate in the work of the structures of the Assembly,” Vadim Popov said. The Chairman of the House of Representatives informed that PACE rapporteur on Belarus Andrea Rigoni can visit Minsk in June 2008. Vadim Popov noted that “many representatives of PACE acknowledge that Belarus’ isolation is an id?e fixe that has no sense. We call for the European structures to listen to all the sides and do not base their opinion on the information of the opposition”. Around 300 foreign citizens will arrive in Minsk to take part in the first international forum of graduates of Belarusian (Soviet) universities “Education without Borders” will be held on May 28-30. Vice Premier of Belarus Alexander Kosinets has been elected head of the organizing committee of the forum, BelTA learnt in the foreign relations department of the Belarusian Education Ministry. Foreign citizens - graduates of Belarusian (Soviet) universities, foreign citizens including former citizens of Belarus who represent the universities and organizations which cooperate with Belarusian educational establishments and various companies, foreign citizens – candidates for master’s degree and post-graduate students who study in Belarus, heads of the governmental departments, universities and companies of this country are invited to take part in the forum. The initiator of the forum is the International Association of Graduates. The idea of the forum was supported by the Council of Ministers of Belarus, the Education Ministry, the Foreign Ministry, other state administration bodies. The forum will be held with a view to intensify the cooperation with the foreign citizens who studied in Belarus and also with the Belarusian citizens and former citizens of Belarus who live abroad. One of the main goals of the forum is to develop and conclude agreements between Belarusian organizations and foreign state and private structures on the projects which promote the export of Belarusian goods and services, attraction of foreign investments in the Belarusian economy. According to specialists of the foreign relations department of the ministry, in the modern world the influence and the authority of a state are identified by intellectual potential, by development of higher school and science. Belarus is one of the countries which not only preserved but gradually develops educational, intellectual and sci-tech potential of the society. Participants of the forum are expected to visit the exhibition of achievements of the Belarusian economy, universities, tourist facilities. A business forum with the participation of foreign businessmen and representatives of Belarusian universities and companies-exporters will be held as well. Organizers of the forum hope that the 1st international forum of graduates of Belarusian (Soviet) universities will promote the national system of education, strengthen the authority of the Belarusian sate in the international arena. From 1961 to 2007, more than 53.5 thousand foreigners from more than 110 countries worldwide graduated from Belarusian universities. The number of the foreign citizens who would like to study in Belarus is growing. In 2007-2008, almost 7 thousand foreign students attend Belarusian universities. Some 28% of them study medicine and pharmacy, 17%- get technical knowledge, 15% - science, 14% - economy and law, 7% - pedagogic, 5% - agriculture, 4% - arts. In a related story, about 130 graduate students from foreign countries attend Belarus’ universities and research centres annually, deputy head of the State Committee for Science and Technologies Igor Voitov noted during the opening of the international research conference “Innovations and training highly skilled research workers in Belarus and abroad” in Minsk. “The interest of foreign states in cooperation with Belarus in the sphere of highly skilled personnel training grows constantly,” he noted. The most popular research areas among the foreign graduate students in Belarus are medicine, economy and management, quality control and certification. The deputy head of the Belarus State Committee for Science and Technologies noted that Belarus will develop the cooperation with foreign research centres in the field of training the highly skilled specialists, receive greater number of foreign graduate students. However, to make this we should solve some problems. “Giving accommodation to foreign students is one of the most urgent problems,” he said. The international research conference “Innovations and training highly skilled research workers in Belarus and abroad” is running in Minsk on April 17-18. Participants of the conference is discussing the issues relating to personnel training for science, education and management system, the issues relating to the cooperation with other countries. Attending the forum are heads of ministries and governmental departments, research centres of Belarus, Russia, Ukraine, Kazakhstan, Moldova, Tajikistan, Armenia, China and Iran. They are discussing the problems relating to provision of the priority branches of the economy with highly skilled personnel, educational standards for personnel training and retraining, innovation education and managers training, other issues. In Q1 2008, Belarus and Moscow increased the trade by one third to make up more than $750 million, Aleksey Alexandrov, the chairman of the committee for interregional ties and national policy of the Russian capital, told the session of the Commission for trade and economic, sci-tech, humanitarian and cultural cooperation held in Moscow on April 17. He reminded that in 2oo7 the trade between Belarus and Moscow hit $4 billion 319 million, or 16.5% up as against 2006. At the same time Aleksey Alexandrov noted that there is a need to discuss the issues relating to supplies of Belarusian constriction materials, dairy products, meats and vegetables to Moscow. Moreover, it is necessary to stimulate the cooperation in innovation area, the specialist noted. “There is a task to set up joint high-tech productions to export their products to the world markets,” Aleksey Alexandrov noted. Business areas of the High-Tech Park will be extended by legislation, Director of the High-Tech Park Administration Valery Tsepkalo told reporters on April 18. He remarked, proposals had been prepared to amend decree No 12, which regulates the operation of the High-Tech Park. The project has been approved by the government and forwarded for consideration of the President. According to Valery Tsepkalo, from the legislative point of view the effective decree is one of the best high-tech business regulations in the world. The narrow directionality of the document is the only thing that needs amendment, said the official. Two years ago it was worked out to target software as it was justified at that time. Over these two years some experience has been accumulated. It turned out the High-Tech Park can be used to implement other projects as well but they cannot be registered in the HTP according to the law. In particular, he mentioned software and hardware solutions and mobile telesystems. The reason discourages famous companies, which for instance produce mobile phones, from cooperating with the HTP. The amendments to decree No 12 will allow extending the directionality of projects in the HTP and attracting new resident companies, Valery Tsepkalo is convinced. The research-production company Ekran is about to launch the production of antilock brake systems (ABS) for heavy haulers, general secretary of the company Valery Kaspersky told reporters on April 17. According to him, Ekran-made antilock brake systems, air suspension and throttle-control systems are intended for heavy-haulers made by MAZ, KaMAZ, UAZ and other producers to bring the vehicles in compliance with the requirements of international organisations of haulers and EU standards. The research-production company Ekran was initially set up as an aircraft instrument-making producer. After the disintegration of the Soviet Union the sales of those products declined sharply. However, the company continues producing high-precision instruments for helicopters and planes which it deliveries to Russia and Ukraine. Ekran also manufactures such as vehicle electronic engineering. The company is located in Borisov and Ivatsevichi. In 2007 it reported the output of Br24 billion. Belarus president Alexander Lukashenko appears to be easing restrictions on investing in the former Soviet Union state after watching foreign money pour into neighboring countries. The transition will not be easy for real estate investors. Every transaction of more than €150,000 ($236,000) has to be personally approved by Lukashenko, who has been described as Europe’s last dictator. The centrally planned economy also makes conducting business tortuous for western companies. But, despite Lukashenko being in dispute with Washington over spying allegations against the US embassy, Boston-based real estate adviser Colliers International has been allowed to open an office in Minsk. Colliers’ managing director in Belarus, Mikhail Gradovich, says the country, which has no formal border with its ally and neighbor Russia, is in desperate need of modern real estate. Mikhail said some of the restrictions that kept western business away from Minsk were being lifted. 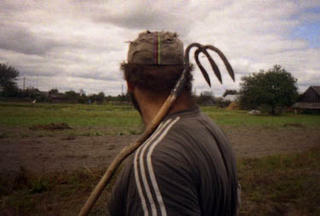 All land in Belarus is state-owned and Belarussians can secure only a maximum 50-year lease on their land. But retail real estate prices are bubbling over in the face of low supply, rising by 25% to 30% a year, Colliers said. Warehousing and industrial space is in short supply and demand has doubled. Colliers’ overview of the Minsk market said industrial rents were expected to continue climbing in the next year because only about 132,000 square meters of factory space is expected to be built in the period. Belarus is aware that real estate investors are pouring into nearby countries such as Ukraine, Russia, Poland, Lithuania and Latvia. It is no longer easy for western companies to make easy money there and investors are looking at smaller cities for better opportunities. Ukrainian property company XXI Century Investments, which is listed on the London Stock Exchange’s junior AIM market, is planning to spend €26m on western-style shopping malls in the suburbs of Kiev, the Ukrainian capital. The developments, incorporating hypermarkets and entertainment complexes, are planned to be rolled out in other cities. Adidas, Reebok and Yves Rocher are among retailers signed up for the malls. Cash-rich Russia is competing for deals. It is advancing aggressively into its former satellite countries, making the most of contacts and the fact that Russian is a second language for many senior negotiating partners. Russian residential developer PIK is the latest to make a move, announcing it is entering Ukraine to identify land for development. 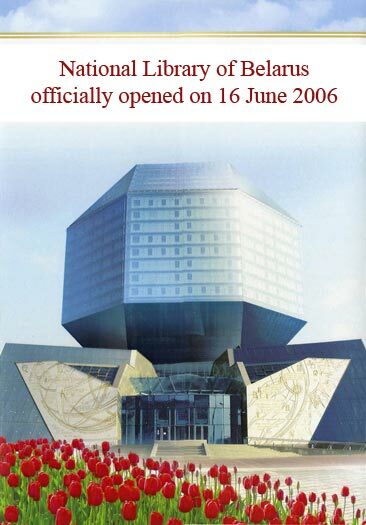 Southwestern opening Belarus center; Stanislau Shushkevich, former chairman of the Belarusian Parliament, is among those scheduled to attend today's events. Retired US ambassador David Swartz, left, talks with Ivonka Survilla, president in exile of the Belarusian Democratic Republic, center, and Dr. Stanislaw Shushkevich, about the opening of the Center for Belarus Studies at Southwestern College in Winfield. Culture and education are withering in Belarus as a dictatorial leader steers the eastern European nation away from Western influences and toward an existence reminiscent of life before the Soviet Union collapsed. That, two political dignitaries from Belarus said Friday, adds significance and urgency to the role of the Center for Belarusian Studies, which opens today at Southwestern College in Winfield. "Our mission is to promote the revival of the Belarus nation through higher education," said David Swartz, former U.S. ambassador to Belarus and a Southwestern alum. Among those attending the opening will be Stanislau Shushkevich. As chairman of the Belarusian Parliament, he joined Presidents Boris Yeltsin of Russia and Leonid Kravchuk of Ukraine in declaring the Soviet Union's dissolution in 1991, creating a commonwealth of independent states. "I would like to see Belarus become more like Kansas," Shushkevich said through an interpreter at the Hyatt Regency Wichita. The nation and the state already have some things in common. They are about the same size and feature relatively flat topography. Each is landlocked, with residents known for a strong work ethic. Belarus has more than 9 million residents -- about triple the population of Kansas -- and an estimated 11,000 lakes, carved out by glaciers. Swartz was the first U.S. ambassador to Belarus after the Iron Curtain fell, and he has had a front-row seat as early optimism that accompanied the arrival of democracy has evaporated. "In all of that time, we've seen things go from bad to worse in Belarus, whereas in the rest of the former Soviet Union republics things seem to be improving and normalizing," said Swartz, who is co-executive director of the Belarusian studies center. Shushkevich lost to hard-liner Alyaksandr Lukashenka in a 1994 election shrouded in controversy, and Lukashenka has since assumed so much control that the CIA classifies him as a dictator. Shushkevich likened him to a pawn who merely does whatever Moscow demands. Ivonka Survilla, the president of the Belarusian Democratic Republic in exile, called her native country "the best-kept secret, not only in Europe but in the world." Moscow covets Belarus for its resources and its work force, "and they always wanted to have it stay within their empire," said Survilla, who is the sixth head of the democratic government that was created at the end of World War I and ousted when the communists seized power a few years later. She is in Kansas for today's event as well. The center is "most important," she said. "There have never been any centers where people can come and study Belarusian culture, Belarusian history -- anything which is connected with Belarusa." In turn, she said, Belarusians must learn about Western culture and ideas, if for no other reason than to recognize that what they are being taught in their schools and universities is badly distorted. Shushkevich was a leading nuclear physicist before entering political life, and he taught physics in Poland, Yugoslavia and East Germany. But he said he learned more than he taught, particularly about the social sciences and the pursuit of knowledge -- particularly in several seminars given by a Polish priest named Karol Wojtyla, who would later become Pope John Paul II. Those experiences made him realize that to flourish, Belarus must strengthen its ties to the West, he said. An agreement whereby the National Assembly (NA) authorizes Venezuela's President Hugo Chavez to appoint Americo Diaz Nunez as Venezuelan ambassador to Belarus was released in the Official Gazette, reported ABN. The agreement is shown in the edition No. 38,912, of April 17th, 2008. The NA Foreign Policy Committee approved unanimously on Wednesday the nomination made by the National Executive. During his presentation at the Congress, D?az N? ?ez reported that his basic plan is aimed at consolidating bilateral economic, industrial, cultural, and sports relations, in addition to increasing the exchange of teachers and students and delving into the educational experience. The Girls From Belarus is the story of a couple who take in two girls from Belarus, the country most horrifically affected by the Chernobyl disaster. Alun Armstrong and Lindsey Coulson star as married couple Bob and Julie Jenkins, who don't anticipate what a dramatic affect the girls will have on their lives and how hard it will be to send them home..
Bob and Julie's only daughter Laura - played by Samantha Robinson - is moving into student digs and they are dreading her leaving home. Bob channels his frustrations into building him and Julie a dream home, but Julie is feeling neglected and would rather he spent more time with her. Julie hears a story on the radio about a charity scheme where children from Belarus can come to stay with a family in the UK for a month. The idea is to help them build up their immune system and research has proved that a month away could extend their wellbeing for up to two years. Bob is against the idea and thinks it could do the children more harm than good, but Julie decides to get involved - with or without his support. When Nadia and Nelli arrive at their home, against all the odds Bob makes an emotional connection with the awkward Nelli and the children open everyone's eyes to the exciting world we live in and so often take for granted. Bob learns to laugh again and Julie delights in their renewed zest for life and each other. But then, having bonded with Nelli, Bob can't bear the idea of saying goodbye to her. Julie wonders whether the scheme has done them all more harm than good. The Belarus children are played by Anna Krippa, 12, (Nelli), her brother Gregory Krippa, 10, (Vasily), who are from Withington, Manchester and Anastasia Pavlenko-Lewis, 9, (Nadia) from Bangor, Wales. The three children have Russian parents and are bi-lingual Russian and English speakers. Alun Armstong said: "The catastrophe that continues to blight the victims of Chernobyl is truly heartbreaking. I'm delighted to be involved in this beautiful story about a Manchester family whose lives are changed by two kids from Belarus who have nothing to give but love. Get your hankies out." Lindsey Coulson said: "I think it's really good we're bringing Chernobyl back into people's consciousness and looking again at the extent of a nuclear disaster. I've always wanted to work with Alun Armstrong, so I'm delighted to be in this and it was great to be working back in Manchester again." According to Belapan, Andrew McIntosh, media-freedom rapporteur in the Parliamentary Assembly of the Council of Europe (PACE), called on the Belarusian government in a statement posted on PACE's website (http://assembly.coe.int) on April 17 to respect the right to freedom of expression. On April 17, Aliaksandr Milinkevich, leader of the newly created movement ‘For Freedom!’, was invited for a conversation by a Ministry of Justice official Aleh Slizheuski. The meeting will deal with the ministry’s reluctance to grant official registration to the movement. The administration of the Belarusian State Economic University is likely to expel youth activist Ludmila Atakulava. During a special meeting of the university administration, the student was labeled as ‘opposing society’. The final decision will be taken in the near future. Belarusian political prisoners called upon the world community to insist on Belarusian authorities’ stopping to utilize political repressions in the country. The appeal was sent to the UN key persons including UN Secretary General and the UN High Commissioner for Human Rights, along with OSCE and a number of foreign embassies to Belarus. The authors of the address mention the political trials of this spring that can result in long terms for a dozen youth activists. They also demand to stop persecuting civil and political organizations critical of the existing regime. 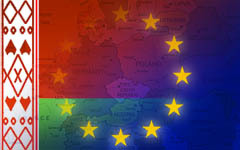 The European Parliament called on the European community to continue rendering help to Belarus in rehabilitation of the regions, suffered from the Chernobyl nuclear plant accident. The declaration on post-Chernobyl situation in Belarus, adopted on the results of the conference in the European Parliament on 17 March, says it. The document stressed that international aid to Belarus should be defended from the regime’s abuses. As Professor, Doctor of Medicine Yury Bandazheuski, initiator of the conference, living in Vilnius now, said to BelaPAN, the declaration also calls on the European community to pay special attention to the state of Chernobyl disaster liquidators. The document emphasised the independent channels of distribution of financial support for rehabilitation of contaminated areas of Belarus should be created and defended from control and abuses by authoritarian regime. The European Parliament called on the European Commission to exert every reasonable effort to make projects and EU financial support to Belarus transparent and effective. The EP has also called on the Belarusian government to ensure social guarantees and medical care to citizens, suffered from the Chernobyl disaster. The declaration stresses that the population of the country needs to have clear, comprehensive and unequivocal information about the disaster itself and its consequences. The adopted document marks the necessity for the European community to monitor and research Chernobyl disaster consequences, influencing health of people and environment of the states – EU members; welcomes a proposal to create an international scientific and research center “Ecology and Health” in Lithuania and organise an international syndicate of aid to liquidators. At the same time, as the declaration says, the authoritarian nature and policy of self-isolation of the Belarusian regime creates additional obstacles on the way to effective overcoming of post-Chernobyl disaster consequences and doesn’t allow developing of the cooperation with the EU on a range of issues. According to Y. Bandazheuski, a question the right for protection of health, damaged by long-term radiation exposure, caused among others, by the Chernobyl accident, was raised in the European Parliament for the first time. “The conference had determined concrete steps on helping people, suffering from radiation consequences. These steps are creation of the Ecology and Health center, aimed at life sustaining of a person and a syndicate of aid to liquidators, who will assert their rights,” the scientist emphasised. The hearing was attended by the delegation of the Belarusian society: former political prisoner Professor Yury Bandazheuski, member of the organising committee of the civil campaign “European Belarus” Mikhail Marynich, academician Ivan Nikitchanka, deputy head of the Belarusian Popular Front party Vintsuk Vyachorka, chairman of the “Union Belarus-Chernobyl” public association Alyaksandr Vauchalin, lawyer Harry Pahanyaila, and representatives of the Belarusian embassy in Belgium. The Communist Party of the Russian Federation (CPRF) may invite Alyaksandr Lukashenka to become its leader, reported Russia’s Regnum news agency, BelaPAN said..
At its convention held earlier this week, United Russia elected outgoing Russian President Vladimir Putin, who has no party affiliation, to be its chairman. On April 18, Vadim Solovyov, secretary of the CPRF Central Committee and a member of the State Duma (lower chamber of Russia’s federal parliament), made an inquiry with Russia’s Federal Registration Service about the legality of this move. If the Federal Registration Service finds nothing wrong the amendments, the CPRF will consider amending its own charter to create a party position open to a non-affiliated person, Mr. Solovyov said. “We would invite Hugo Chavez [Venezuelan president] or Alyaksandr Lukashenka to take up this post,” he added. The position of chairman had been instituted one day before Mr. Putin was elected chairman of United Russia. The head United Russia’s Supreme Council, Boris Gryzlov, is expected to run the party on a day-to-day basis. The European Parliament will hold a debate on easier Schengen visa formalities for Belarusians and Ukrainians in Strasbourg on April 21. 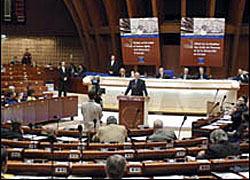 Members of the European Parliament and representatives of the European Commission are to deliver speeches at the debate. In an interview with BelaPAN, Volha Stuzhynskaya, head of the Brussels-based Office for a Democratic Belarus, said that the debate would be held at the request of the three MEPs who launched a campaign to cut the cost of Schengen visas for Belarusians earlier this year. If at least more than half of the European Parliament’s 785 members back the proposal before the beginning of May, it will be submitted to the EU Council and the European Commission. Only 140 MEPs have signed the petition so far. In 2007, Schengen visa fees increased from 60 Euro for Belarusian citizens. Most Schengen countries had charged Belarusians 35 Euro for a single-entry visa and Poland and Lithuania, only 5 Euro before the rise. Five doomsday sect members from Belarus, who were ordered to be deported, have left the Penza Region and are heading for their native country, a spokesman for the local governor said Friday. A local court ruled Thursday that five Belarusian women, who emerged from their underground cave in the Penza Region, central Russia, together with other members of the Orthodox Christian sect earlier this month, be deported for violating Russia's visa regime. They were also ordered to pay a fine. "Five women who were ordered yesterday to be deported from Russia have already left the region accompanied by the police and representatives of the Belarusian embassy," the spokesman said. Although Belarusians, like other members of the Commonwealth of Independent States (CIS), are not required to obtain visas to travel to Russia, they still have to possess a valid passport and be registered with the migration service. The religious followers of this extremist Orthodox sect are known to have burnt their passports before going underground as they "contain the number of the Beast." Twenty-four members of the group, which went underground in November to wait for the end of the world, which they say will come in May or June, left their dugout on April 1 after most of the shelter's roof collapsed following heavy rain. The remaining cultists, who have been described as "the most radical" by Russian authorities, resumed talks with authorities on Monday, but did not indicate when they intend to leave their hillside dugout. One of the sect's members now above ground told reporters last week that, "During our stay, two people died. They are buried there. One of them died of cancer and the other after fasting too intensely." Local authorities have not confirmed the deaths. The sect's leader, Kuznetsov, 43, was admitted to hospital earlier this month after an apparent suicide attempt. Russian media initially reported that Kuznetsov, who did not join his followers underground, had been beaten by the emerging sect members after taking part in negotiations to persuade them to leave their shelter. He had been held in an asylum in Penza about 600 km (370 miles) southeast of Moscow, since November. Despite one member of the sect claiming that the group is an offshoot of the Jehovah's Witnesses, the sect has generally been considered part of a wave of extreme Russian Orthodoxy in Russia and some former Soviet republics. Ukraine's Foreign Ministry confirmed on Thursday that Russia has been invited to start talks in June on the withdrawal of its fleet from the Crimea, but said Moscow has yet to reply to the proposal. The Russian Foreign Ministry said yesterday that during Tuesday's meeting between Russian Foreign Minister Sergei Lavrov and Ukraine's Volodymyr Ohryzko in Moscow, the Ukrainian side handed Russia a draft memorandum outlining plans for Russia's withdrawal from the Black Sea port of Sevastopol. However, the ministry denied Ukraine's subsequent announcement that talks had already been fixed for June. A spokesman for the Ukrainian ministry said: "During the meeting between the foreign ministers in Moscow, the Russian side was given a draft memorandum on the withdrawal of military units of the Russian Black Sea Fleet from Ukraine by May 28, 2017. The draft included an offer for bilateral consultations on this issue to begin in June. However, Russia has not yet given its agreement." Russia's Black Sea Fleet currently uses a range of naval facilities in the Crimea under a 1997 agreement allowing Russia to lease the base from ex-Soviet neighbor for $93 million per year, which is paid for by Moscow with Russian energy supplies. Disputes between Russia and Ukraine over the lease of the base are frequent. Last week, the head of the State Duma committee on CIS affairs, Alexei Ostrovsky, said that Russia could reclaim the Crimea if Ukraine was admitted to NATO. Media reported that President Vladimir Putin issued a similar threat at a closed-door speech to NATO leaders at the Bucharest summit earlier this month. Reports by Kiev that consultations on the withdrawal of Russia's Black Sea Fleet from Ukraine are due to start this summer are untrue, the Russian Foreign Ministry said Wednesday. The Ukrainian Foreign Ministry said earlier Wednesday that the talks would start in June 2008. The ministry said that during a meeting between the Russian and Ukrainian foreign ministers on April 15 Ukraine handed Russia a draft memorandum outlining the stages and the order for Russia's withdrawal from the Black Sea port of Sevastopol. "Ukraine was told that Moscow would study the document, but discussion of the issue was not urgent," the Russian ministry said in a statement. In line with a Russian-Ukrainian agreement, the fleet will retain its presence at the Crimean port of Sevastopol until 2017. Russia's Black Sea Fleet currently uses a range of naval facilities in the Crimea under a 1997 agreement allowing Russia to lease the base from its neighboring former Soviet republic for $93 million per year, which is paid for by Moscow with Russian energy supplies. Last week, the head of the State Duma committee on CIS affairs, Alexei Ostrovsky, said that Russia could reclaim the Crimea if Ukraine was admitted to NATO. Former Soviet leader Nikita Khrushchev, who grew up in Ukraine, made the Crimean Peninsula - a territory of 26,100 sq km washed by the Black and Azov seas - part of the Ukrainian Soviet Socialist Republic in 1954. The peninsula had formerly been a part of the Russian Soviet Socialist Republic. The Crimea, now an autonomous region within Ukraine, is a predominantly Russian-speaking territory. Since the 1991 breakup of the Soviet Union, the Crimea has unsuccessfully sought independence from Ukraine. A 1994 referendum in the Crimea supported demands for a broader autonomy and closer links with Russia. They all laughed when I tried to celebrate International Year of the Potato back in February. But Radio 4 recently had an interesting spot about how the UN's first speciality vegetable year is proving to be more timely than expected, as concerns about world food supplies grow in all quarters. Robin Lustig and the rest of the World Tonight team had a job explaining exactly what's driving the rise in food prices, especially the cost of carb-rich foods like rice. Some blame new rules about biofuels; more than one World Tonight contributor suggested it's just the developing world finally getting into the idea of eating three meals a day. Whatever the factors behind the price hikes, the reality is that people are going hungry. Bangladesh is leading the way by trying to encourage its mainly rice-eating population to switch over to potatoes. Starting, according to Radio 4, with the Bangladesh security forces, who are being ordered to eat potatoes to set a good example. I wonder whether such a policy could be successful. Potatoes are very nutritious, so why aren't they grown worldwide already? Well there may be more logic to rejecting potatoes than seems at first sight. A cultural preference for one basic foodstuff over another is often not just cultural. Economists have spent a lot of time at looking at the way in which marginal developing-world farmers make crop choices; sometimes farmers want to grow the crop most likely to earn a bit of extra cash. But their emergency crop will always be the one least like to fail, like Bitter Cassava - not the one which is rich in protein and calories, but needs more resources. Potatoes need lots and lots of water, as any allotment holder will attest. It's what happens in the really bad years which determines what people end up living off. Finally, my best potato fact of the day is that Belarus currently lead world potato consumption, at a staggering 745lb per capita every year. You say potato, I say diet. Leo Beenhakker is worried the match-fixing scandal that has shaken Polish soccer could impact his future as coach of the national team. "Everybody who is part of Polish football will recognize of course that it's a very bad situation," Beenhakker told reporters Wednesday. "I'm very concerned about the consequences of all this in relation with the future of Polish football, and of course the future of Polish football is for the moment also my future." Prosecutors in Wroclaw launched an investigation in 2005 into corruption in Polish soccer. So far, authorities have charged 117 people - including federation members, coaches, referees, players and club officials - with rigging matches in the top domestic leagues. Twenty-nine clubs have been implicated. Facing significant public and political pressure, Polish soccer federation president Michal Listkiewicz said Sunday the organization's governing board will resign Sept. 14. Listkiewicz, who hired Beenhakker in July 2007 as the first foreigner to coach the national side, also said he would not run for another term. Beenhakker praised Listkiewicz for two "perfect" years of co-operation, and said he didn't know whether he can have the same good working relationship with the next man in charge. "So in that way I also don't have my future very clear as a consequence of this whole situation," he said. Still, Beenhakker stressed that he wants to stay on as Poland coach, but that he has "to wait for decisions that will come in (the) next weeks and months." Beenhakker also noted the scandal could disrupt preparations for the European Championship in June, and vowed to try to keep his team isolated from the controversy. KRAKOW, Poland, April 13 (Reuters) - Janusz Filipiak, the chief executive of mid-sized Polish IT firm Comarch COMH.WA, has been charged with contract fraud in relation to a soccer club he owns, the prosecutor's spokeswoman said on Sunday. Filipiak, the president and 49 percent owner of Krakow's first-division club Cracovia, has been charged with abetting the back-dating of a former soccer player's employment contract and breaking employment law, together with three other officials at the soccer club, the spokeswoman said. Polish football is wrestling with a series of corruption scandals; irregularities have been found at 29 football clubs and charges pressed against more than 120 officials. "Janusz Filipiak was detained, questioned, and released after paying 100,000 zlotys ($46,270) bail," said Boguslawa Marcinkowska, the spokeswoman for the regional prosecutor's office in Krakow. "There are two charges. The first is abetting in forging a document, in this case back-dating a contract. And the second is infringing workers' rights," said Marcinkowska, without elaborating. Filipiak and his wife hold nearly 68 percent of Comarch. "The charges which have been brought against Comarch's chief executive have no connection to the company and will not affect the business going forward," Comarch said in a statement. The company's shares closed down 3.25 percent at 110 zlotys on Friday. Victoria Azarenka seeded 13 bowed out of the Family Circle Cup in Charleston. In the third round she lost to Russian Elena Dementieva (seed No 8) 4-6, 5-7. In the doubles Victoria Azarenka and her partner Elena Vesnina of Russia defeated Tatiana Perebeinis from Ukraine and Russia’s Galina Voskoboyeba 5-7, 6-4 (10-4) and advanced to the quarterfinals. Another Belarusian Olga Govortsova and Edina Gallovits of Romania scored a victory over Medina Garrigues and Ruano Pascual 6-3, 6-1. In the quarterfinals they will play Kveta Peschke from the Czech Republic and Rennae Stubbs from Australia. Belarus will host the European Weightlifting Championships in 2010. The decision was taken unanimously at the congress of the European Weightlifting Federation in Italy. The tournament will be staged in the Palace of Sport or the multifunctional arena “Minsk-Arena” if its construction is completed by then. The plans also feature the construction of a sports hall which, if ready by 2010, will be able to host the tournament too. Belarus has gained experience of staging international events. In 2004 Minsk hosted the world junior weightlifting championships. The decision to stage the event in Minsk was preceded by three visits to the country of EWC delegations headed by general secretary Marino Ercolani Casadei. During the visits the EWF officials held meetings with the chairman of the Belarusian Weightlifting Federation, Alexander Shpilevsky, Minister of Sport and Tourism of Belarus Alexander Grigorov, aid to the President of Belarus for physical culture, sport and tourism Gennady Alekseenko, representatives of Belarusian TV and Radio Company. Mr Marino Ercolani Casadei got familiar with the sports facilities in Belarus and its technical opportunities to organise live broadcast. Five Belarusian freestyle wrestlers will compete for the Olympic licenses at the qualifying competition that started in Switzerland on April 18. Belarus will be represented by Magomedkamil Magomedov, Albert Batyrov, Sergei Borchenko, Ruslan Sheikhov and Maksim Mikhalevich. The chief coach of the Belarusian team of freestyle wrestling team Sergei Guriev replaced three athletes whose performance at the European championship in Finland was not very successful. The Belarusian team already has two Olympic licenses won by Rizvan Gadjiev and Murad Gaidarov. The Belarusian athletes plan to win 5-6 licenses for the Olympic games in Beijing. For those who will not be able to get the licenses in Switzerland, there will be one more chance at the competitions that will be held in Poland early May. Слова “кіно” звыкла выклікае ў нашай свядомасці іншае паняцце — “экран”. У канцы 80-х гадоў ХХ ст. мінская арт-група “Беларускі Клімат” прапанавала сваё тлумачэнне гэтаму слову, заснаваўшы “звуснае кіно”. Мудрагелістае азначэнне раскрывалася вельмі проста - “кіно з вуснаў”. Новы жанр імкнуўся аднавіць старадаўнія традыцыі расповеду і ўсталяваць дыялог між творцай і “гледачом”. Ідэя прыжылася і атрымала распаўсюджанне ў Беларусі і за яе межамі: у Расіі ды Швецыі. Цяпер “звуснае кіно” вярнулася ў Мінск, каб нагадаць пра сябе рэтраспектывай стужак у Музеі гісторыі беларускага кіно. А ў хуткім часе яго прыхільнікі атрымаюць магчымасць праявіць сябе на IV фестывалі “звуснага кіно”, што мяркуе адбыцца ў маі-чэрвені гэтага года. “Кіно аказвае магутны ўплыў не толькі на выяўленчае мастацтва, тэатр і літаратуру, але і на непасрэдны зварот чалавека да чалавека. Сёння, калі мы захочам што-небудзь распавесці сябрам, то, самі таго не жадаючы, скарыстаемся тымі ці іншымі кіна-прыёмамі,” — гэтая думка належыць удзельнікам “Беларускага Клімату”, які склалі мастакі, фатографы, літаратары і г.д. Менавіта ў іх коле дваццаць гадоў таму з’явіліся першыя аўтэнтычныя кінафільмы Філіпа Чмыра і Яўгена Юнова. Аўтары “паказвалі” іх сваім сябрам вусна ў прыватных умовах. Праз некаторы час паэт Дзмітрый Строцаў засведчыў нараджэнне новага жанра і прапанаваў зладкаваць першы міні-фестываль вусных фільмаў. 24 кастрычніка 1988 года стала пачаткам падарожжа незвычайнага жанра ў свет. Дарэчы, месца правядзення першага фестывалю звуснага кіно было такім жа арыгінальным, як і самі “фільмы”. Свята адбывалася ў мінскім пад’ездзе па адрасе вуліца Чырвонаармейская, дом 8. Наступны фестываль праходзіў ужо ў межах групавой выставы “Канец лета ў Месапатаміі” ў мінскім ДК Прафсаюзаў вясной 1989. Затым быў Капенгаген, дзе звусныя фільмы дэманстраваліся з сінхронным перакладам на дацкую. Трэці фестываль, які адбыўся ў мінскім Доме Мастацтваў пры ўдзеле галерэі “Віта Нова” 29 лістапада 1993 года меў ужо цалкам адпаведную падобным мерапрыемствам структуру: конкурсны і пазаконкурсны паказы, а таксама рэтраспектыву. Наступнымі прывіталі станаўленне новага жанру кінематографа Санкт-Пецярбург ды Масква. Студзенем гэтага года фестываль звуснага кіно адбыўся ў шведскім горадзе Мальмё. У мерапрыемстве акрамя беларускіх аўтараў упершыню прынялі ўдзел 4 шведскія вусныя кінематаграфісты. Фестываль выклікаў значны станоўчы рэзананс сярод мясцовага грамадства. Крытыкі адзначылі творчы момант новага жанра еўрапейскага мастацтва. Прывітальныя словы накіравалі рэжысёры Ларс фон Трыер і Лукас Мудзісан. А каралеўскі драматычны тэатр Швецыі гасцінна прапанаваў памяшканне для фестывалю звуснага кіно ў Стакгольме восенню 2008. Карыстаючыся галівудскімі словамі, “наступным днём беларускі жанр “прачнуўся” знакамітым”. Гэтай вясной звуснае кіно вярнулася на радзіму, каб у чарговы раз сустрэцца з жыхарамі сталіцы і адшукаць новыя таленты, неабходныя для правядзенне чацвёртага фестывалю. Адзін з арганізатараў рэтраспектывы фільмаў у Музеі гісторыі беларускага кіно Дзмітрый Строцаў знайшоў час, каб параўнаць звуснае кіно з традыцыйным кінематографам, раскрыць сакрэт папулярнасці жанру ды распавесці пра вясенне-летнія перспектывы. — Людзі здаўна імкнуліся распавесці пра ўбачаны фільм іншаму. Калі чалавек з вёскі кіраваўся на “Чапаева” ў горад, то сваім першым абавязкам па вяртанні лічыў распавесці сюжэт суседзям, вядома, нешта змяніўшы ды аздобіўшы. Такія “фільмы” таксама можна назваць звуснымі, хоць і не аўтэнтычнымі. Бо яны былі “знятыя” ў разуменні вуснай традыцыі, нашмат старэйшай за пісьмовую, і раскрывалі даўнюю праўду: мастацкі твор нараджаецца не тады, калі яго зафіксавалі, а тады, калі з’яўляецца “прадукт”, што сам сябе трымае кампазіцыйна. Аўтар можа ў дэталях адыходзіць ад першапачатковага варыянту, але цэласнасць сюжэту захоўваецца. Гэта падобна на тое, як шмат разоў глядзіш адзін і той жа фільм. Кожным разам ты канцэнтруешся на нейкіх іншых момантах стужкі, на нейкія звяртаеш менш увагі, але агульнае ўражанне ад кіно захоўваецца. Гэтак і ў нас. Нават праз 20 гадоў нашыя гледачы пазнаюць убачаныя фільмы. — Ці ёсць каноны ў звуснага кіно? — Жанр яшчэ знаходзіцца ў працэсе свайго станаўлення, таму любое абмежаванне яго развіцця прынясе больш шкоды, чым карысці. За мінулыя гады было створана ўсяго некалькі дзесяткаў прац, якія вельмі адрозніваюцца між сабою. Колькі рэжысёраў — столькі і стылістык. Тэхнічна можна арганізаваць паказ па-рознаму: тэатралізаваць, альбо наблізіць да кінематографа… Стварыць атмасферу кіназалы, на сцэну пусціць святло з праектавальнага апарата і ў асветленты квадрат пасадзіць апавядальніка… Можна нават дадаць нейкія касцюміраваныя сцэны. Але галоўным застанецца расповед, бо звуснае кіно — маўленчы жанр. Гэтак, напрыклад, у маскоўскіх калег, нягледзячы на тое, што да ўдзелу ў кіно дапускаюцца нават прафесійныя акцёры, слоўная частка застаецца прыярытэтнай. Звернутасць да гледача — надзвычай важная. Рэжысёр звуснага кіно не чытае з ліста, ён выказвае сваю фантазію, прыпамінае. І гледачы адчуваюць гэтае творчае напружанне, адчуваюць, што кожная секунда вырашае, якое слова прагучыць. Яны “хварэюць” за рэжысёра і самі становяцца ўдзельнікамі працэсу. — Якая класіфікацыя існуе ўнутры самога жанру? — Класіфікацыя была пазычана з традыцыйнага кіно: поўнаметражныя, кароткаметражныя карціны, мультыплікацыйныя фільмы і г.д. Такі падзел — гэта своеасаблівыя правілы гульні, якія дапамагаюць гледачу наладзіцца на ўспрыняцце пэўнай карцінкі. Калі які-небудзь аўтар пашырыць дадзеную класіфікацыю, ніхто супраць не будзе. — Сярод паказаных фільмаў рэтраспектывы ёсць нямое кіно з беларускай назвай “Трышчан і Іжота”. Ці шмат у звусным кіно стужак на роднай мове? — Кампанія, якая напрыканцы 80-х стварала звуснае кіно, была рускамоўнай. Аўтар фільма “Трышчан і Іжота” Мікола Раманоўскі — паэт і перакладчык. Пераклад твору са старабеларускай на беларускую быў яго дыпломнай працай. Таму, калі ўзнікла пытанне, які сюжэт ўвасобіць, ён выбраў добра знаёмы. Фільм стаў першым датычным роднай мовы вопытам у звусным кіно. Сёння моладзевая актыўнасць перамясцілася ў беларускамоўную сферу і мы з радасцю прывітаем такіх аўтараў. — Звуснае кіно — канкурэнт традыцыйнага кінематографа альбо яго частка? — Канкурэнцыі не будзе. Кінематограф — пераможца на сённяшні дзень, бо стварае для аўдыторыі найбольш камфортныя ўмовы, дзе ўсё скажуць і пакажуць. Ад гледача патрабуецца хіба што не заснуць. Вусны жанр — гэта напружаная праца, калі карцінку патрэбна будаваць у свядомасці. Мы хочам, каб людзі трэніравалі мускулы свайго ўяўлення. Але гэта праца не для ўсіх. Таму першапачаткова звуснае кіно звяртаецца не да масавай аудыторыі, як класічны кінематограф, а да тых, каму гэта цікава. — Чаму ж, нягледзячы на гэта, беларускі жанр атрымаў такое распаўсюджанне? — Людзі надзвычай засумавалі па жывой камунікацыі! З калісьці шырокага спектру вусных жанраў: казка, быліна, гутарка… — зараз актыўна бытуе хіба што анекдот. Таму такімі папулярнымі з’яўляюцца, напрыклад, тэатральныя “імправізаваныя апавяданні” Яўгена Грышкаўца, выступы Пятра Мамонава… Сапраўды, жанр звуснага кіно можна параўнаць з тэатрам. Аднак, нам бліжэй усё ж не літаратурная, а маўленчая традыцыя. Чаму мы выбралі менавіта кіно? Бо гэта ці не самая значная культурная падзея ХХ ст., якая выпрацавала магутнейшую мову і набор выяўленчых сродкаў. Абавязак рэжысёра — пабудаваць свой шлях сярод гэтых бясконцых магчымасцяў, сабраць сваю гісторыю, а не пераказаць хаатычны шэраг вобразаў з галавы. — Якія перспектывы, на Вашу думку, у звуснага кіно? — Канешне, гэты жанр ніколі не стане стадыённым. Але мы да гэтага і не імкнемся. Найлепшым вынікам будзе, калі людзі, паглядзеўшы наша кіно, проста стануць распавядаць цікавыя сюжэты адзін аднаму вусна. — Чаго чакаць ад IV кінафестывалю? — У першую чаргу, новых імёнаў. Не хочацца праводзіць свята на старым матэрыяле, “для птушачкі”. У Беларусі хапае людзей з арыгінальным мышленнем, якія звяртаюцца да жанру звуснага кіно, каб праявіць сябе. Менавіта на іх разлічаны гэты фестываль. Дыялог са Стакгольмам і Масквою ў нас ёсць. Але хочацца ведаць, што адбываецца на радзіме, у Мінску. — Звуснае кіно ўзнікла тады, калі паўза ў сферы кіно стварыла ўмовы для спробаў кампраміснага кінематографу. Прыкладам апошняга можна назваць відэакоміксы “Навінак”. Звуснае кіно — маргінальная з’ява, а ўсе цікавыя рэчы пачынаюцца менавіта так. За 20 гадоў жанр з лакальнага праекту пачаў набываць міжнародную вядомасць. Не дзіва! “Кіно на словах” — базавая формула, якая не мае нацыянальнай прапіскі. Гэта шыкоўны клубны праект, які не патрабуе бюджэту і тэхнічных сродкаў і можа быць паказаны ў любой краіне, дзе ёсць зацікаўленыя людзі. Last December Vladimir Putin of Russia paid a visit to Aleksandr Lukashenka of Belarus. This prompted local and international media to speculate on whether the visit was to clinch a deal between the two presidents for a (re)unification of Belarus with Russia. Belarusian nationalists bemoaned the prospect while tacitly admitting that they wouldn’t be able to do anything about it. Although nothing came of the meeting, the issue remains on the agenda. Aleksandr Lukashenka was democratically elected in 1994, and by 1997 had become the president of what George W. Bush’s administration has branded “ the last dictatorship in Europe.” Given that by 2007 most of the West started calling Vladimir Putin’s state a dictatorship, Belarus might no longer lay claim to this distinction. Of course, the present U.S. administration might be thinking that Russia, being Asiatic, has nothing to do with Europe. However, as concerns Belarus, the brand is well earned. Lukashenka has several political murders attributed to him, has thrown his critics into jail, rigs all elections, has practically eliminated the free press, and has destroyed most independent NGOs. His crack troops have beaten demonstrators under the cover of an “anti-terrorist” act. Internationally, Lukashenka has defied the United States and the European Union, expanded his country’s arms trade, and befriended Venezuelan President Hugo Chavez. What are the chances of the Belarusians keeping their nationhood? And would losing it be a bad or a good thing? Belarusian intellectuals have read what nationalism has achieved in other places and are nearly unanimous in their eagerness to put that knowledge to practical use. The Belarusian people, meanwhile, haven’t read anything of the sort, largely because neither Soviet nor post-Soviet schools assigned such reading. 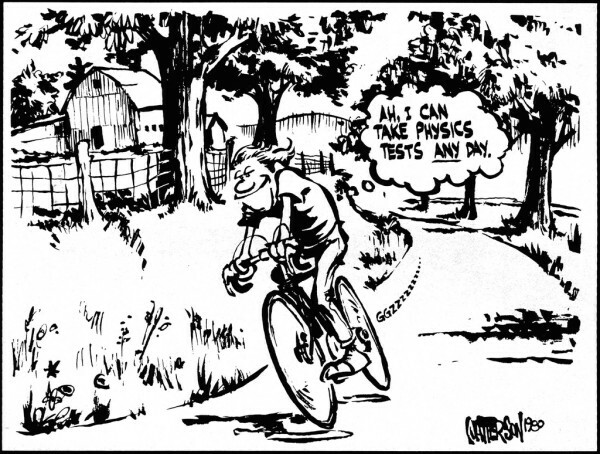 As a result, all they can rely on is their personal experience. It is just this experience that has prompted the majority of Belarusian people to vote Lukashenka into power, repeatedly. Lukashenka’s elections have never been fair. But had they been fair he would have won anyway, which even the Belarusian opposition publicly admitted last year. 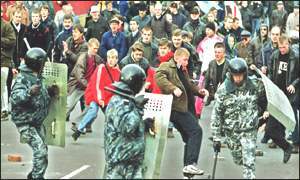 The early years of transition from the breakup of the Soviet Union in 1991 to the mid-1990s were not kind to the Belarusian people. In power, the transition pro-democrats were so maladroit that the state nearly stopped delivering its services even as it maintained control of the economy in the Soviet fashion. Lukashenka was then democratically voted into power as the tentative alternative for people without much hope. He surprised even his own team by (a) establishing an effective dictatorship by 1997 and (b) delivering to the people. He made sure that salaries and pensions were paid, that social services functioned, and that health care began edging upward to reach (very mediocre) Soviet levels. Belarusians have retained tragic memories of World War II, in which 2.2 million Belarusians were killed, and a popular saying even today is “anything but war.” Lukashenka didn’t bring war, and he kept his promise to double the mean salary by 2000. The country’s gross domestic product and salaries have been increasing steadily since. Thus the Belarusian experience puts Belarusian nationalism in the specific context of a failed transition from the sovok (or the Soviet system) to democracy. The Belarusian people already waived one of their birthrights, to democracy, in exchange for a “good life” a la Lukashenka. What are the chances that they won’t waive their “birthright to nationalism” as well, regardless of the intelligentsia’s brave new nation? Belarus started its transition from sovok together with all the Soviet Union in 1991. As with the rest of Eastern Europe, it was a transition from and not a transition to. Majorities believed that they knew what they wanted their lives not to be but did not know what they wanted their lives to become. Enter the new elites-to-be. From this point on, the course of a country was defined by the outcome of the power struggle within the new elite, with the winner usually the one that displayed the greatest prowess in appealing to the citizenry with populism. These transitions were not initially driven by popular demands to change from. Throughout the lands of the former Soviet Union, the winning elites pointed the Baltic states, Ukraine, and Georgia toward post-communist democracy, and Belarus, Russia and Central Asian states were directed toward post-communist dictatorship (while countries like Armenia and Moldova still appear undecided). In all these processes of internal political orientation, nationalism played a very ambiguous and very important part. Not only was nationalism the main slogan of the pro-democrats of the Baltic states but also of Putin’s “sovereign democracy” dictatorship. In Belarus, nationalism has worked in turn for democracy and for dictatorship. The Belarusian pro-democrats of 1991-1994 were ardent nationalists. They started learning Belarusian (for all were literary Russian speakers) and started teaching it to the people (who hitherto spoke – and still speak - a Russian dialect). Lukashenka, who replaced them, re-established Russian as the official language of the country. The language would be the basis for unification with Russia, which was his proclaimed political goal. Although the people didn’t at the time react to this policy, the opposition elite did, branding him a traitor to the nation. Although they agreed with this label, the people did nothing. Then in 2003, Lukashenka made one of his notorious about-turns: he embraced Belarusian nationalism. The nationalist intelligentsia didn’t believe him, but did nothing. There wasn’t much to do. After delivering economically, Lukashenka pulled the nationalist rug from under the Belarusian opposition. In the eyes of the people, there wasn’t much left that he could be accused of. There were the political murders, of course, of rivals and journalists. But not surprisingly the official investigations didn’t pin these murders on Lukashenka. And the people, having endured centuries of decimation, remained silent. More than that: after successfully concluding hard bargains with the Russian energy conglomerate Gazprom in the winters of 2006 and 2007, Lukashenka emerged as something of a national hero even to the opposition intelligentsia (albeit they would never admit it in public). The Russians were threatening Belarusians with a winter without heating – and Lukashenka rode along and saved them. Against the backdrop of the Belarusian intelligentsia, which has displayed a fixation on nationalism (and to a lesser scale on democracy), the Belarusian people have behaved like realists. They know their country is relatively weak in comparison to Russia and other great powers and have adjusted their expectations accordingly. Should Russia decide to reswallow Belarus, the West has been clear: it will provide no help to the Belarusian opposition. The West has tried to help democracy and failed. The United States has been staunchly backing Belarusian democratization since 1989, with willful disregard for the changes of the last two decades. The State Department (together with the European Union) underwrote opposition protests after the rigged presidential election of 2001, hoping that these would topple Lukashenka. But the organized opposition failed to oppose. Instead, it ran away, leaving a handful of betrayed youths to face Lukashenka’s riot police. The same scenario replayed itself in 2006, only this time the EU was conspicuously absent from the scene. The State Department nevertheless continued unwaveringly to underwrite opposition protests after the rigged presidential election, doubtless imagining that Minsk would follow Kiev in another “color revolution.” This time, the Belarusian opposition understood that such a color revolution was impossible but still was reluctant to refuse the funding. When the time came for the traditional protest in the main square, the organized opposition performed within what turned out to be the accepted limits of protest, and the regime answered with a limited amount of violence. Nobody was killed, which was the only good outcome. A new set of youths, not the ones whom the opposition betrayed in 2001, maintained an improvised protest for a time, which the regime tolerated for a few days before sending the riot troops for a final crackdown. The Belarusian people personally sympathized with these brave youngsters but politically remained silent and did nothing to support them. Since then the West’s position hasn’t much changed . True, the EU got so scared when Lukashenka, pressuring Russia, turned off the Russia–EU gas pipeline for a while, that they started making some small clumsy overtures to him, beginning in 2007. Lukashenka took his time to react. Finally, at the beginning of this year, he permitted an Organization for Security and Cooperation in Europe office in Minsk and released most of his political prisoners. The Belarusian pro-democrats felt betrayed. The hardball U.S. position had failed to move Lukashenka while the EU’s softball position achieved some small results: last March an agreement was signed to establish an EU Delegation in Minsk. Recognizing the lack of revolutionary potential in Belarus, the United States has reverted to human rights issues. Unlike in the 1980s – and in the aftermath of Kosovo and Iraq – human rights are no longer a mobilizing tool, either for Belarusians or for the international community. The message from the East, meanwhile, has been ambiguous. Russia is currently divided between nostalgic imperialism and realism. The nostalgic imperialists want to force Belarus back where they think it rightly belongs: for them it’s simply White Russia. Realists in Russia understand that a politically independent, but economically and culturally dependent Belarus is a better bargain: it wouldn’t burden the centralist Putin administration system with its problems, there will be no nationalist resistance, and the West will be calm. However, Russian realism is known to be rather idiosyncratic. Therefore all Russian vagaries are being watched closely not only from the political and intellectual capital of Minsk, but from the whole country. Having looked at the mighty powers East and West, the Belarusian people are now considering the other important player in this game: their own regime. And they have concluded that the present regime no longer really needs or wants unification with Russia. Andrey Lyakhoivich, a leading Minsk-based political analyst, wrote recently in a Slovak journal of foreign policy: “Independence is in [the material interest of Lukashenka and his men]. They have the monopoly of control over the Belarusian market.” So, direct state ownership is no longer a Soviet-era requirement. In the Belarusian transition, the regime can derive enough benefits from simply controlling a market that is gradually adopting private ownership as its basis. Which means that the regime should naturally tend toward sovereignty: if the current Belarusian leaders lose their state, it shall be the Russian and not the Belarusian bureaucratic elite that gets all these benefits. As a result, the Belarusian people will not likely trade their birthright of nationalism for the good life. They believe they have already traded democracy for this good life. To renounce nationalism and sovereignty and unite with Russia would probably result in a worse life, they would reason. Moreover, it would be bad in the eyes of the West, the realistic part of the Putin regime, and for their president’s men. Which means that, besides being undesirable, the reunification of Russia and Belarus is unlikely. Jan Grinberg is the pen name of an East European analyst who has researched developments in the region for the last two decades. He is a contributor to Foreign Policy In Focus (www.fpif.org).